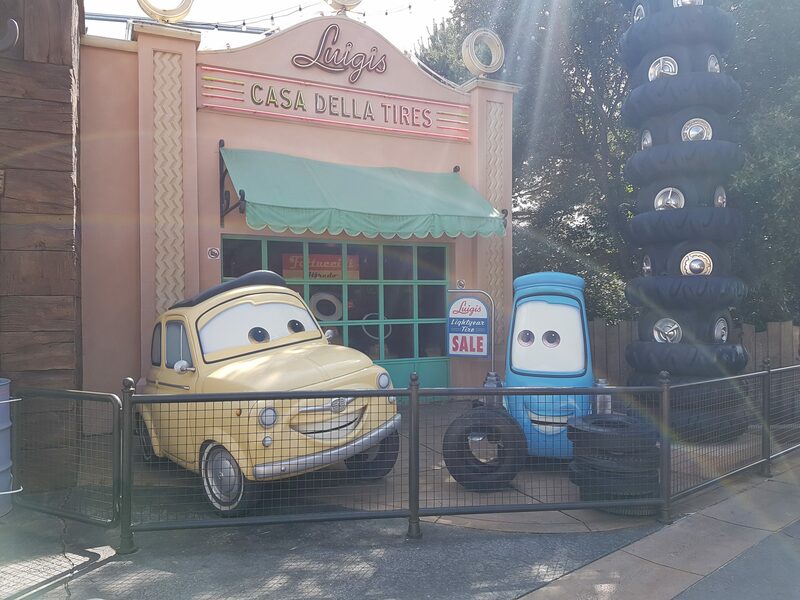 Chimmyville > Lifestyle > Travel > Paris Trip – Day 3 – Disneyland! 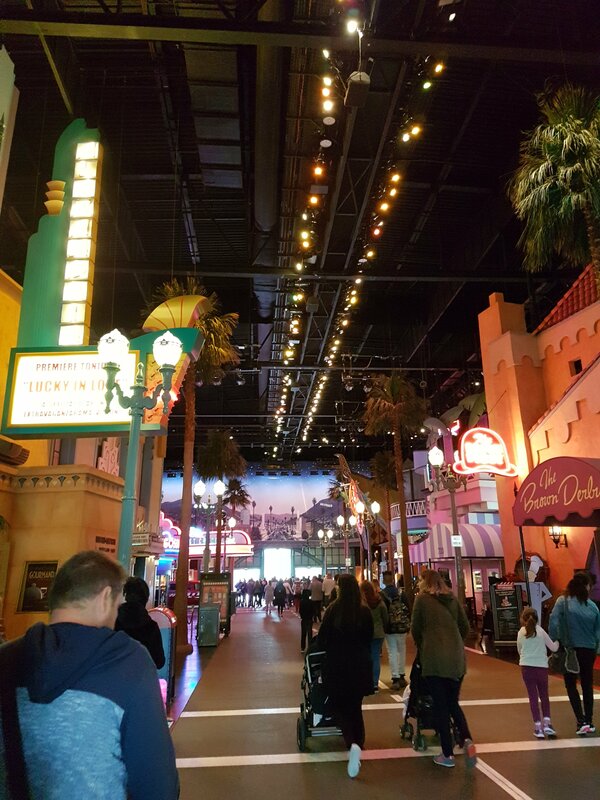 Paris Trip – Day 3 – Disneyland! 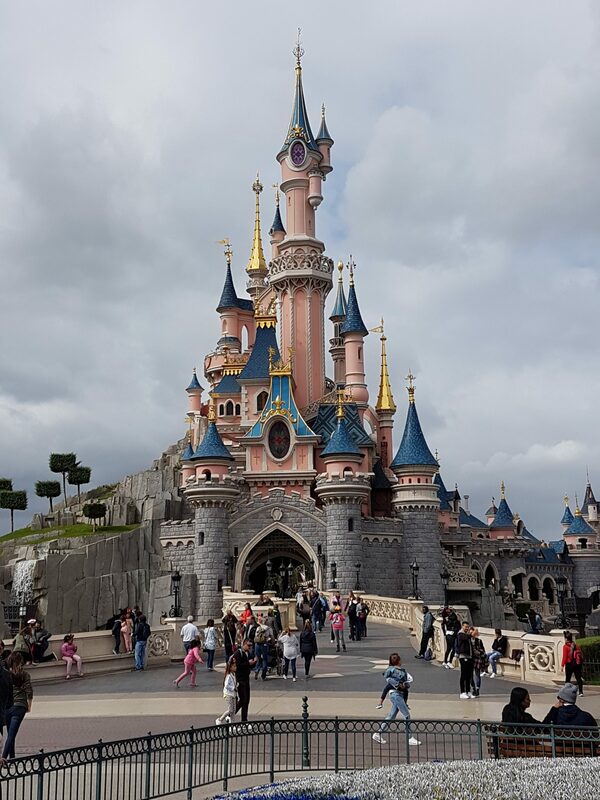 During my recent trip to Paris (catch up on Day 1 and Day 2) with my friend Kelly, we spent the 3rd day in Disneyland! We had a one day ticket covering both parks – I brought a Lion King vest top and an Eeyore hoody to wear. 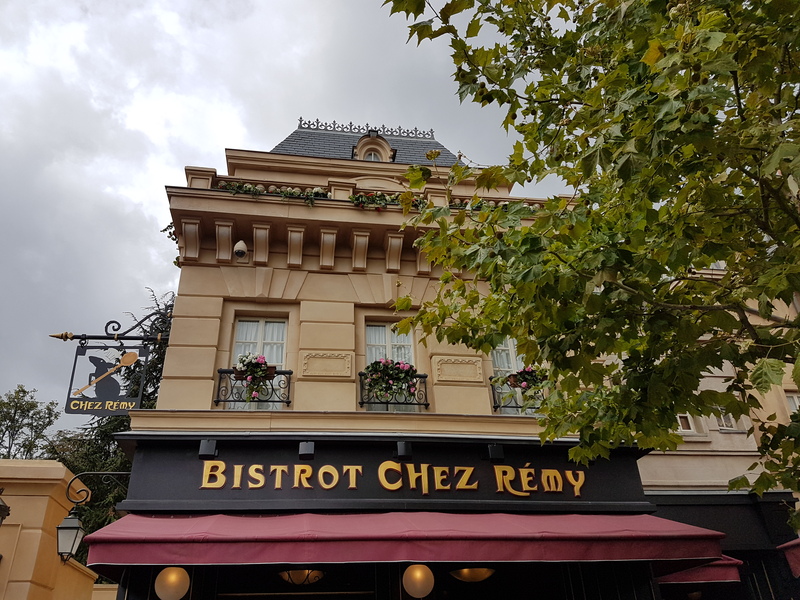 We got on the train early morning and made our way on the train to Disneyland, it was about 45 minutes from Charles de Gualle – Etoille metro station (the one for the Arc de Triomphe). We had an amazing day riding rollercoasters, taking many photos and saw the night time illumination ceremony at Sleeping Beauty castle. It was a long tiring day but definitely worth it. 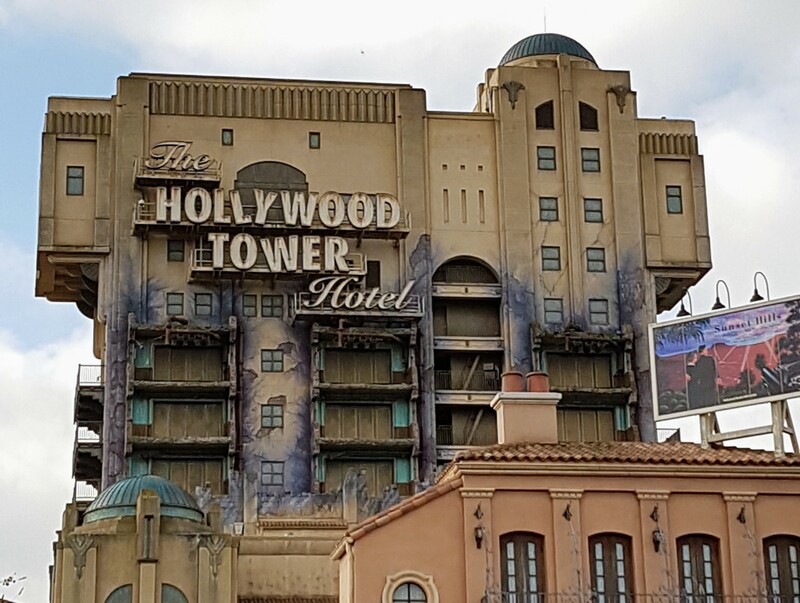 We started of at Disney Studios as I missed it when I last came, and Tower of Terror was our first ride of the day, I loved it. It was a fun ride, not too long but I was laughing or smiling throughout. This was followed by the Armagedon (movie) experience where you become actors in the film, there’s pyrotechnics, water etc. I don’t want to spoil too much but it’s worth a visit and had less than a five minute wait when we queued for it. Apart from Big Thunder Mountain we never waited more than half an hour for a ride. We walked clockwise through the park and came across areas dedicated to the Pixar movies – Toy Story, Cars, Rataouille and Finding Nemo – we missed Crush’ s rollercoaster unfortunately as the queuing time was seventy minutes but went on the Rataouille ride, which was a 3D experience through the kitchen Remy worked in. It was great fun! 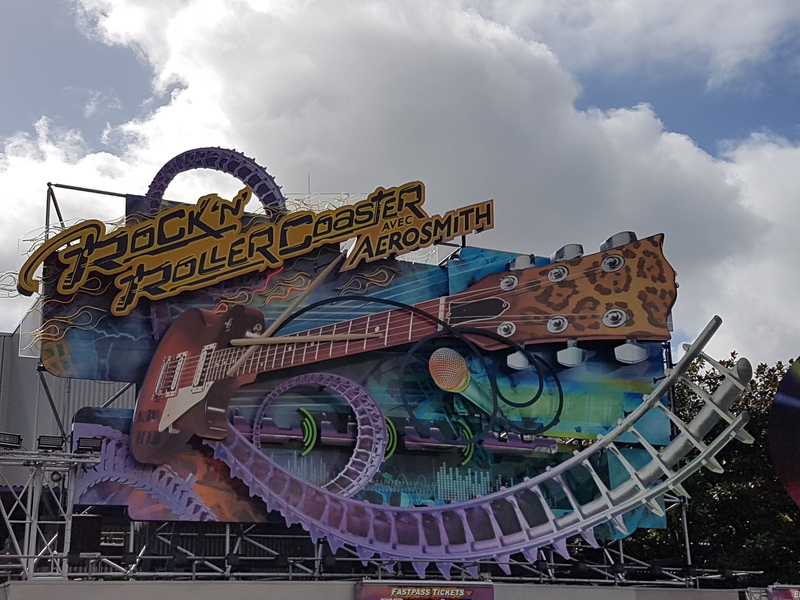 Our last ride in this park was Aerosmiths’ Rock N’ Rollercoaster which was my favourite of the day! I’d never been on it before, but loved the style of the rollercoaster – rock music and many loops and twists. Perfect. We headed to the Disneyland park shortly after and saw Merry Poppins and Goofy on our way out! We also saw Donald Duck and Minnie Mouse as we entered Main Street, which is the first zone in the park. We did a bit of shopping and took some photos before exploring the rest of the park (in an anti-clockwise direction). We got to Discovery Land first and went on Buzz Lightyear’s Blasters ride, which is a laser shooting ride – I won! 😉 This was followed by Star Wars Hyperspace Mountain which is the revamped Space Mountain ride, being a huge Star Wars fan I maybe a little biased but thought the ride was amazing. According to Kelly I was “ooo-ing” and “aah-ing” at all the Star Wars ships flying past us. Lol. We stopped for some lunch at a space themed cafe and watched a bit of the Star Wars Rebels tv show. Our next zone was Fantasy Land and we caught a glimpse of the Disney princesses doing a live performance on our way through the crowds. 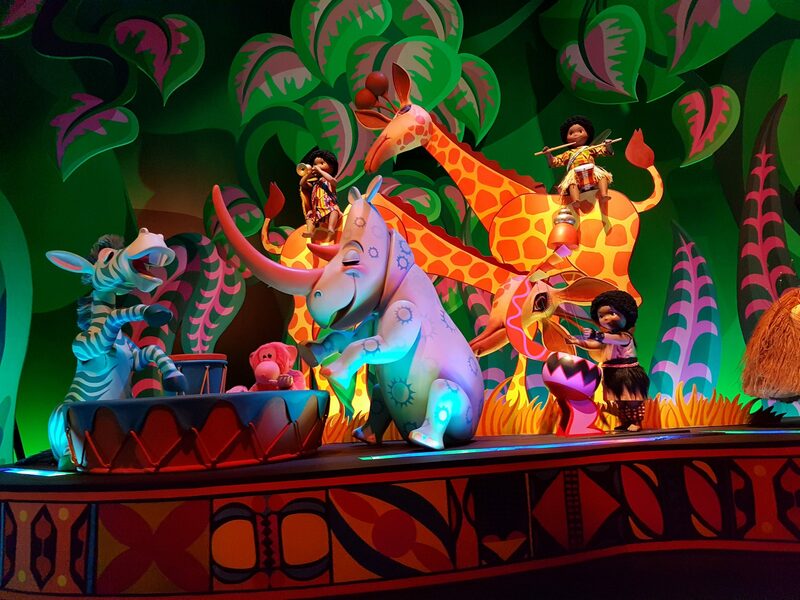 Kelly dragged me on to the ‘It’s a small world’ ride and I had the song stuck in my head on and off the rest of the day – doh! 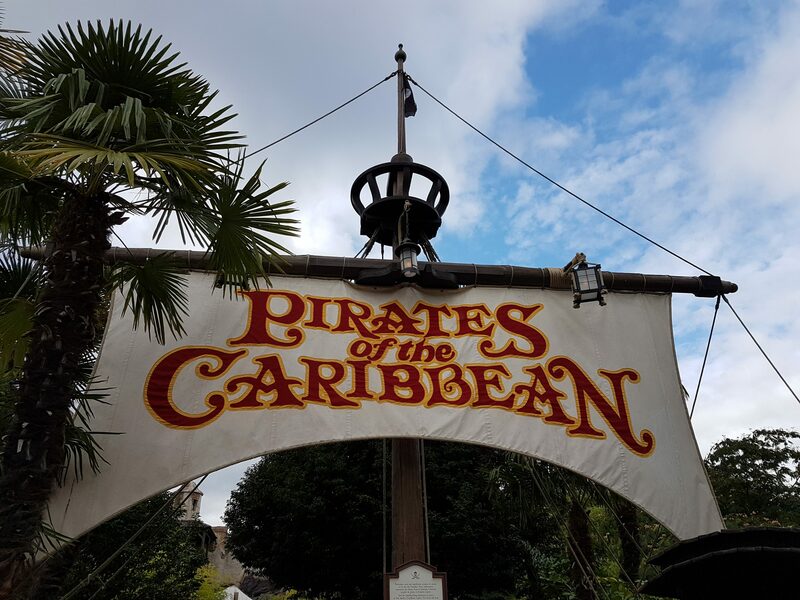 We didn’t go on any other rides in this zone as we were running out of time so focussed on the bigger rides, Pirates of the Caribbean, Indian Jones (which was closed for refurbishment) and Big Thunder Mountain in the next two zones. Adventure Land was our next stop and we took many photos of Skull island and Captain Hook’s pirate ship before queuing for the Pirates of the Caribbean ride, I remembered it was a water ride but couldn’t remember how wet you got on the ride – we had a central seat and were practically dry but I’m pretty sure the family in the front got wet. Our last stop was Frontier Land which has a cowboy / western theme. We had dinner in the Haukuna Matata restaurant before riding Big Thunder Mountain, except it was closed due to technical issues, 🙁 thankfully it opened up again later but while we waited we went on the Haunted House ride which kept breaking down in front of the creepy sections while we were on it lol. It was a great ride and I think the break downs added to the eeryness. We finally got to ride Big Thunder Mountain after an hour wait! It was as good as I remembered, I last went on it when I was eight with my family and think it was worth the wait. 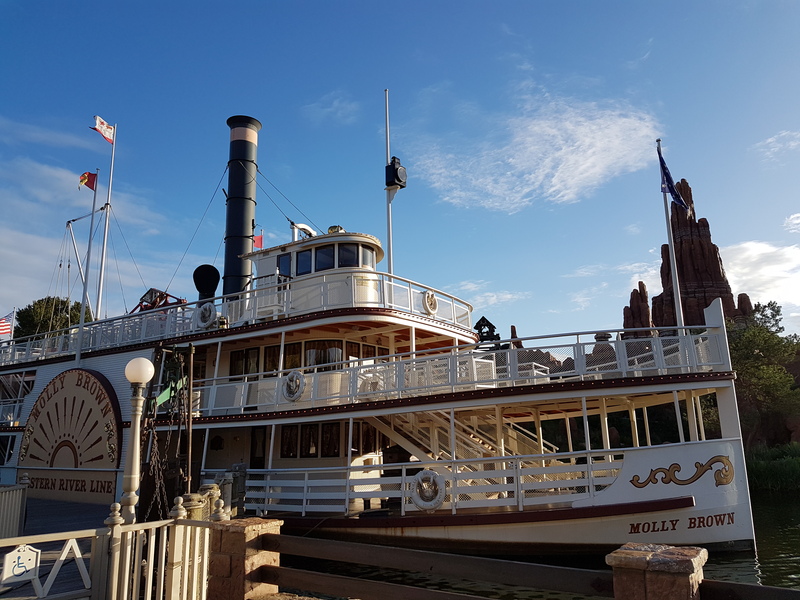 There was also the opportunity to take river cruises through the park near the ride but we didn’t have time, unfortunately. The illumination ceremony started shortly after the ride and was great to watch but we didn’t stay for all of it. We got back to the hotel very late and went straight to bed! Day 4 (the final day of our trip 🙁 ) to follow very soon – The Arc De Triomphe and Notre Dame! Oh my! I love Disney so much! This is amazing! I am still so excited for you, I bet you had a blast! Thank you for sharing this with us! This makes me wnat to take a trip just to go to Disney in Paris! I am so thrilled to be able to read about it and how much fun you had! Can’t wait to go myself now! I remember going to Disneyland Paris in 2012 and after 5 years believe it or not I still miss it. I hope I will come back one day again. I will always remember that magical feeling you get there..It’s almost like normal world doesn’t exist anymore, you forget about all the problems and feel so happy. Anyways, great photos and lovely post ^^ Glad you had the best time! OMG, I want to go to Disneyland 🙁 Any Disney theme park will do. glad you had fun! I’ve never been to Disneyland, or Disney World here in the states. The most I’ve ever gotten was Six Flags in Dallas, TX. Which don’t get me wrong, it was AMAZING…the first two times. I’ve been frequently since my grandparents live bout 20 minutes from there, but it’s lost most of its charm and allure to me, sadly. I’ve also gotten to where I’m not really a fan of overly crowded areas. These pictures are just amazing, though, and it looks beautiful! 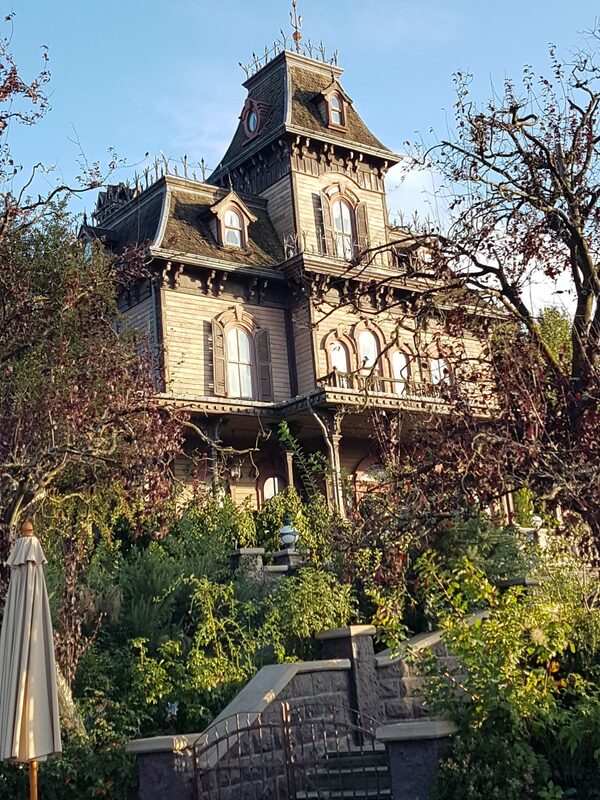 The castle is beautiful as always, but what got me was your photos of the Pirates area, lol. It seems like you really enjoyed yourself!